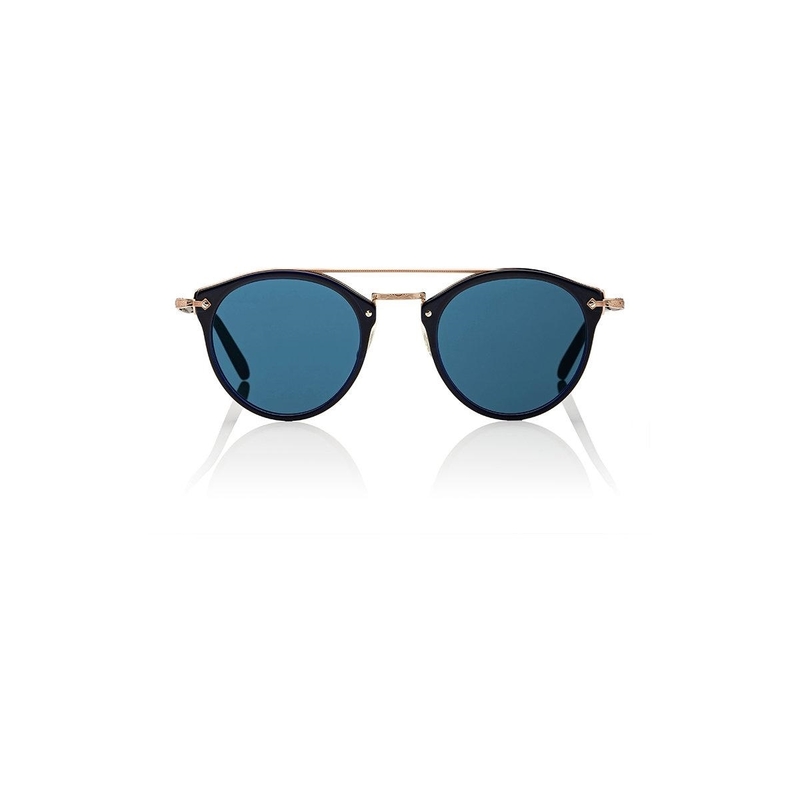 OLIVER PEOPLES REMICK ARE A SUBTLE ROUNDED AVIATOR STYLE OF SUNGLASSES. A UNIQUE MIX OF ACETATE AND ETCHED METAL. The Oliver Peoples REMICK OV5349S is a subtle rounded aviator unisex acetate sunglass that features a keyhole bride with nose pads for extra comfort. A mix of denim acetate and engraved metal work on the arms,temples and bridge. Featuring blue mirror lenses. A double brow creates impact. The Oliver Peoples REMICK OV5349/s sunglass comes with its own branded case, cloth and packaging, and also covered by the sendoptics 12 month no quibble guarantee. These sunglasses are prescription glazable. Please E-mail or telephone us for options available. OLIVER PEOPLES REMICK ARE A SUBTLE ROUNDED AVIATOR STYLE OF SUNGLASSES. A UNIQUE MIX OF HAVANA ACETATE AND ETCHED METAL.